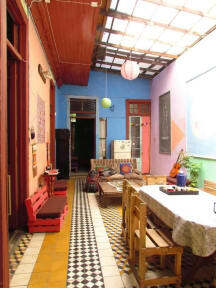 We are a quiet hostel with great environment and comfortable spaces. Right in the center of Santiago, we have a vast knowledge about the city and great experience in the hospitality sector, that we capitalize to bring to our guests and travellers the very best of our facilities and location. We are located in one of the best areas of Santiago, near to some of the finest attractions and landmarks such as Museo Nacional de Historia, Museo Ferroviario de Santiago, Planetario and Museo de la Memoria y los Derechos Humanos, amongst other interesting spots of our city. In addition, we are strategically located s well near to metro and bus stops. Our rooms are big and spacious, equipped with all the necessary commodities and amenities to bring our guests and travellers a comfortable stay. We have different dorms with several capacities as well as private accommodation options for those who seek for a relax and tranquil experience. In addition, we have several common areas where the guests and travellers can meet each other and exchange past experiences and future plans. Sehr freundliche und hilfsbereite Mitarbeiter. Das Hostel selbst ist super schön und lässt einen gleich „zuhause“ fühlen. Lage ist Top! Schnell ins Zentrum und trotzdem nicht im Touri Viertel! I only stayed one night at the hostel, but I liked it a lot. They had their opening party that night and we had a lot of fun. The community space is comfy and the beds as well. The staff is super friendly and very relaxed. Only thing I missed was some soap in the bathrooms. Good location, big rooms (but no windows and you cant lock the doors and it's always cold inside), breakfast was very small. Staff sometimes didn't hear the doorbell so we had to wait in front of the hostel for 10-20min. Sometimes there were only the volunteers at the hostel and even though they weren't very well instructed, they were very friendly. 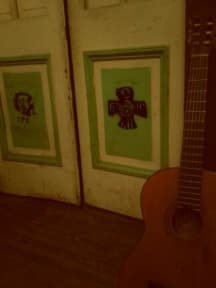 Average hostel in Santiago!